India held out during a thrilling run chase against Bangladesh to clinch the Asia Cup final by three wickets. Bangladesh are through to the final of the Asia Cup after a memorable 37-run win over Pakistan in Abu Dhabi to book a final berth against India. 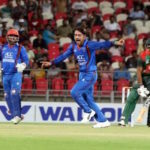 A stunning century by Mohammad Shahzad and ruthless bowling by Rashid Khan and Mohammad Nabi earned Afghanistan an unforgettable tie against India in the Asia Cup. 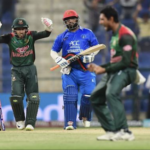 A nail-biting contest between Bangladesh and Afghanistan went right down to the wire, with Bangladesh grabbing victory by just three runs after an action packed final over. 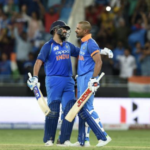 India romped home to an emphatic nine-wicket victory over Pakistan in the Super Four stage of the Asia Cup in Dubai. 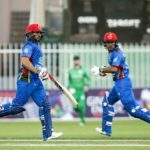 Afghanistan managed to post a competitive 255 runs in the first innings of their dead-rubber encounter with Bangladesh thanks to a late onslaught from Rashid Khan and Gulbadin Naib. Afghanistan knocked Sri Lanka out of the Asia Cup after a shock 91-run defeat in Abu Dhabi.